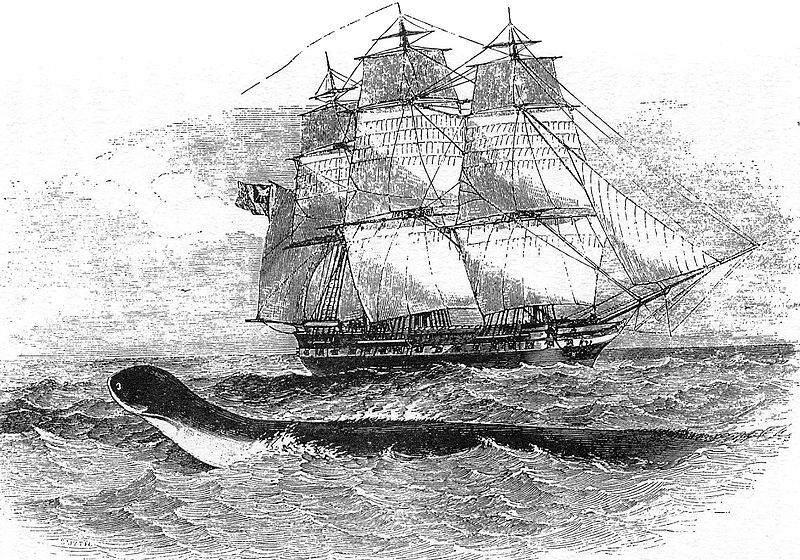 On this day in 1848 a ship called the Daedalus was sailing home from the East Indies, between the Cape of Good Hope and St Helena when the ship’s captain, Peter McQuhae and several of his officers spotted a huge sea serpent. It was swimming with four feet (1.2 metres) of it’s head above the water. McQuhae estimated that the whole creature was about sixty feet long. He said that is was dark brown with a yellowish white throat. It had the head of a snake and it also seemed to have some sort of mane like a horse. It passed so close to the ship that McQuhae said: had it been a man of my acquaintance I should have easily recognised the features with the naked eye. He estimated that it was moving at a speed of between twelve and fifteen miles an hour and said that it remained in sight for twenty minutes. This information appeared in a letter to the Times on October 13th 1848. While others came forward with their own reports of sea serpent sightings, the scientific community were more sceptical. The biologist Sir Richard Owen wrote a particularly scathing reply which was published on November 9th. Owen, who was the man who coined the term dinosaur, knew a great deal about fossil specimens. He thought that no such animal could possibly exist. No bones of such a creature had ever been found and no fossil evidence had ever been discovered. He was sure that what the sailors had seen was an elephant seal. It seems a little unfair to assume that seasoned sailors did not know what they were looking at or had never seen an elephant seal before but perhaps Owen’s scepticism was born of experience. Three years earlier he had identified as a fake, a sea serpent skeleton that was being displayed all around Europe by a man named Albert Koch. 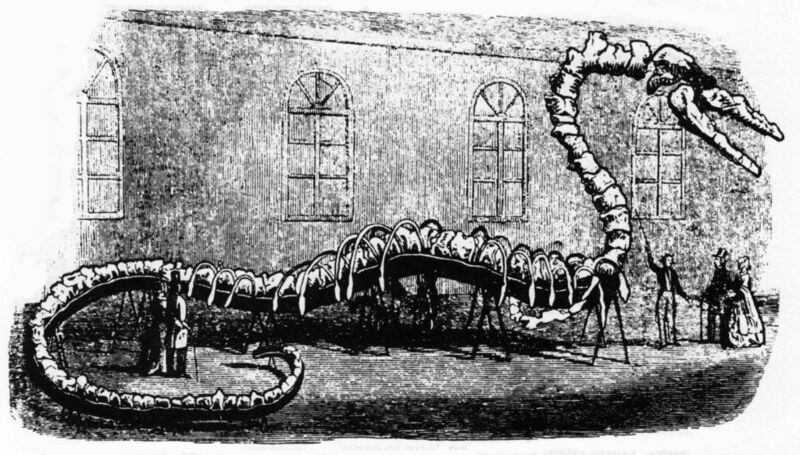 Koch had used the skeletons of six separate animals and also some whale bones and a few ammonite shells to fabricate a creature that was 114 feet (almost 35 metres) long. Koch’s biggest mistake was to use for the head of his leviathan, the skull of a Basilosaurus. A creature that Owen himself had helped to identify. The evidence we have of the sighting are the testimony of seven sailors and a number of drawings that McQuhae had made when he returned home. He first joined the navy in 1803 and was made captain in 1835 so he had really spent a lot of time at sea. He didn’t have any reason to make up a story like this as it was inviting ridicule. On the other hand, there is still no physical evidence that such a creature exists. But the seas and oceans make up 97% of the earth’s habitable space. Also we once thought the same about the giant squid.